One thing I really missed about going gluten-free was couscous. I used to eat it at least once a week. It’s so easy and quick to cook. Actually I don’t even really ‘cook’ it – I just pour boiling water over it and let it stand for a few minutes. Waaaaay easier than cooking rice or pasta! I was pretty excited last year to find corn couscous in the health food aisle at the supermarket. Brilliant. It has the same texture and easy ‘cooking’ method as wheat couscous, but it has a buttery corn flavour (and no gluten!). There is only one ingredient – gluten-free corn flour. The corn is free of genetically modified ingredients (GMO’s) which is always something I check when buying corn products. You can find it in the health food aisle of Coles and some other supermarkets. Check here for specifics and the online stores that stock it. It’s really versatile and if you are gluten-free, it’s a great alternative to eating rice all the time. I have teamed up with Freelicious today to bring you this awesome recipe (if I do say so myself!) and a giveaway. My family thought it was really yummy and the leftovers were lovely the next day too! 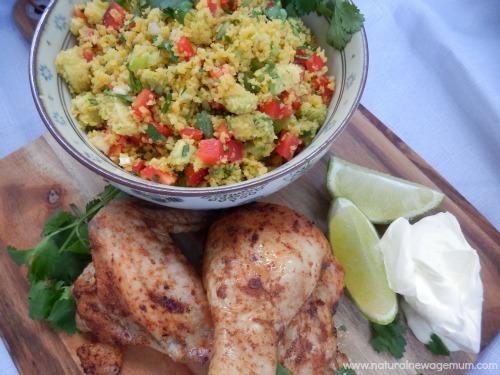 Mexican roasted chicken with corn couscous salad. Mix the spices with the macadamia oil. Give your chooky a massage with the spice mix (you can leave this overnight or for a few hours if you like). 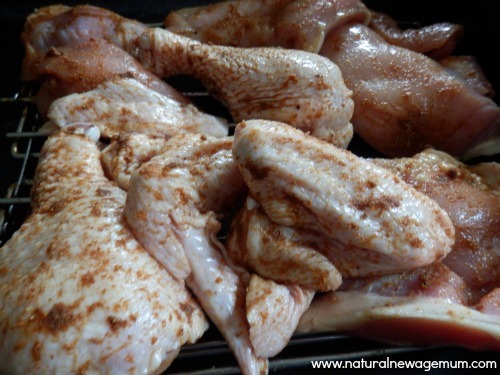 Chuck the spicy chook on a roasting rack and cook in the oven for thirty to forty minutes for chicken pieces and around an hour and a half for a whole chicken. While that’s cooking, make the salad. Place the corn couscous in a stainless steel or glass bowl and add the boiling water. Cover with a tea towel and let sit for ten minutes to do it’s thing. Prepare the vegetables as mentioned. Make the salad dressing by combining the lime juice, olive oil, garlic and salt and pepper in an old glass jar and shaking vigorously. Fluff up the couscous with a fork. Add all the salad ingredients and dressing and toss gently to combine. You can refrigerate the salad or serve it warm as is. Check your chicken is cooked. Serve with the salad, sour cream, lime wedges and extra coriander on the side. Notes: If you have leftovers, cut the chicken off the bone and mix through the salad. Serve it rolled up in a lettuce leaf or on top of some baby spinach. Yum. If you want a vegetarian option, fold some chickpeas through the salad. This giveaway is now closed. The winner was Rebecca N! Congratulations! The lovely people at Freelicious are giving away a huge hamper of their products for you to try. Included is: corn couscous, cornflakes, fibre up flakes, tea biscuits, crostini and original crackers. You can check them all out at the Freelicious website here. 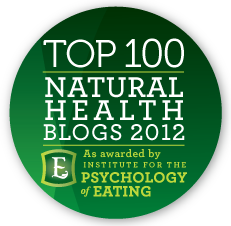 * Be a blog subscriber. Enter your email into the top right hand box. * Like Freelicious on Facebook. Go here. 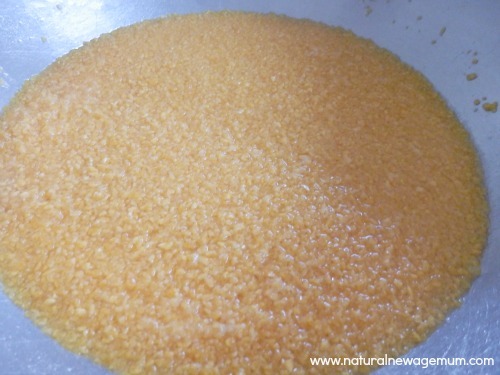 * Comment on this blog post and tell me what you would use corn couscous for. This giveaway starts now and closes on the 22 May 2013 at midnite, EST. The winner will be chosen from those meeting the entry criteria using random.org, emailed and announced on this blog post. This giveaway is in no way affiliated with Facebook. Australian residents only. Please note: Freelicious have sponsored this post. Opinions and recipe are my own. I saw a recipe recently that used couscous as a dessert. Mixed with dried dates and apricots, and nuts then made to a sausage shape, rolled in an omelette and served with an orange syrup. I would try that. Fabulous! I have never seen this product before – what a great idea… I would definitely use it in some type of salad – your recipe sounds delicious! Sounds nice. I would use this corn cous cous for Moroccan cous cous salad with pistachios. Yum. I have recently found out I need to eliminate wheat from my diet and like you, couscous was my fall back accompaniment – so I am super excited to have found an alternative. I would use it in warm and cold salads and tuna mornay. Thanks for the opportunity to enter the giveaay. So delicious looking Sonia, I loved the finished product pic, wanted to lick the screen. I think I would like to use corn coucous in my Mexican dishes! I love the idea of the corn flavour as a crumbly base for mince, salsa and guacamole instead of using corn chips! looks fantastic! I’ll seek some out and give it a try. As a side to grilled pork or sausages or lamb chops. Such a nice change from rice and veges. Wow this is so exciting! I love cous cous but am also heading in the direction of going gluten free, so this product is perfect! 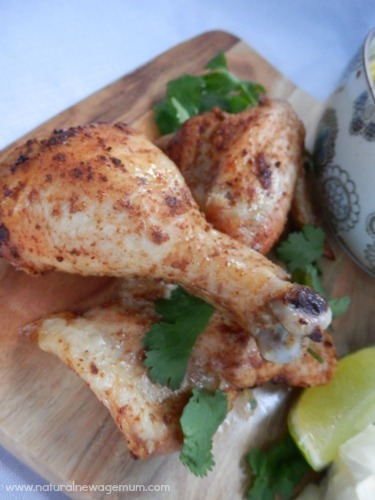 First thing I would do is make your Mexican chicken and salad receipe above! Drool! Recipe and pic’s totally delish. Thanks Sonia. I am so Glad you shared this Recipe it looks Amazing! I am really Loving Soup at the Moment because of the Chilly Weather so would be Great to try Corn Couscous in a Soup. oh wow, love it, my little miss LOVES cous cous but since going gluten free, cous cous is out.. 🙁 I would use it to definately make the above recipe and I love using it in vege patties.. I would have it with a yummy chicken and vegetable tagine and also in salads. 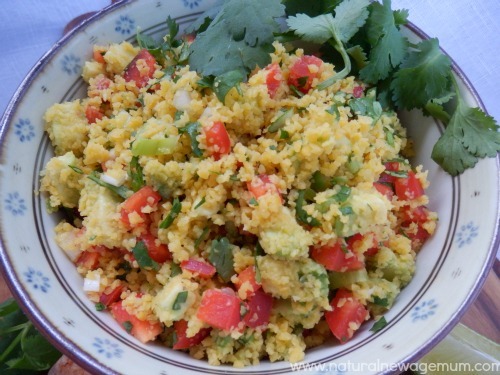 Love Cous Cous, my kids don’t like the normal cous cous but this is corn and they love corn. mmmmm yum! that salad looks sensational! I used to use cous cous heaps! but now very rarely … now we mainly use quinoa. But I do miss the ease of cous cous…. so will be giving this a go for sure! I would use it for salads, vegie bakes and muffins …. mmm yum! I woild replace it with cracked wheat and use it in a tabouli salad. I might have to get some to try. Would like to do a few sweet dishes aswell. Or use it dry as a crumbing batter. I’d start by using it as a topping for my baked tuna and veg dish. Then I’d try it as a stuffing by mixing it with some herbs and lemons and slow roast it with some yummy green vegies. I havent seen Corn Cous Cous – sooo glad this is available. For a quick and healthy lunch just add some tuna – and what ever other salad vegetables you feel like. One of our family favorites. I’m inspired. Having recently got back on the gluten-free bandwagon again I’m looking for alternatives to the way I used to eat. I’m thinking a chicken and roast pumpkin salad – YUM! I would use it as a fantastic and healthy filler upper to go with any meal I cooked, I have a very hungry 14 year old boy, so this would be great. My husband is allergic to wheat, so it would be great to all be able to eat the same meal!!! I just adore couscous! I don’t have to eat gluten free but this corn bizzo looks delicious too. I am obsessed with Mexican food now after watching that SBS show last night where those 2 English cooks go traveling round the world trying different spices and last night it was Mexico. Delicious. I think I would just make your recipe! LOL. Oh!! I’m trying to cut out wheat products a the moment and this would be fantastic as I really am getting sick of rice. I’m very curious about the breakfast idea you had too – I used to have muesli but since trying to cut the gluten, this sounds fabulous!! Oh yum, sounds delish. I would probably start with a family fave, which is just roasted medditeranean vegies on top of cous couse with a dollop of yoghurt. Mmm mmm. Sounds great!! I miss cous cous the most. I would make a roasted vegetable cous cous with spiced yoghurt sauce and also a fish tagine to have over it for another meal! So looking forward to sampling it!!! 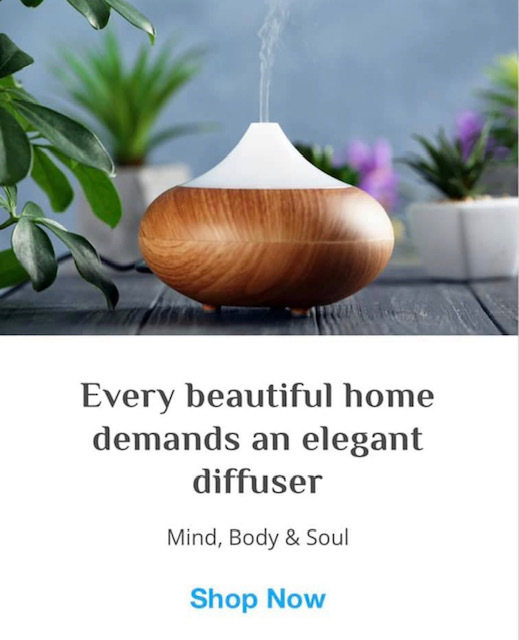 Sounds like a great product. 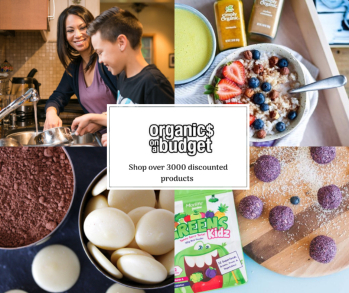 I would love to sample this and other gf products as my family is embarking on a gf and dairy free diet due to allergies and to promote better health. I would make a roasted veg cous cous with a spicy yoghurt sauce and also a fish tagine to accompany it as another meal! Delish! Would be ecstatic to win!! I’d use it for some yummy salads. I am going to look for this next time I go to the shops. Oh yum, sounds lovely. I think I would give it a go and also do it as a dessert with some dessicated coconut, dried fruit, pistachios and a drizzle of maple syrup and cashew cream. Great brand. I would prepare the couscous with roast pumpkin and baby spinach. Yummy! I am sitting here feeling very cold as winter is creeping in. I am feeling inspired for something warm, I would love to try it with a lovely hot vegetable tagine. Yum! I would use it quite plain as a side with some healthy chicken nuggets and veggies. Can’t wait to try it in my couscous salad. We tried this for the first time a month ago and it’s delicious! Being gluten free, I’ve never eaten normal couscous but I saw the corn couscous in Coles and thought I’d try it. I was amazed that Mr9 (the fussy one)ate a truckload! He usually only eats meat and salad vegies. 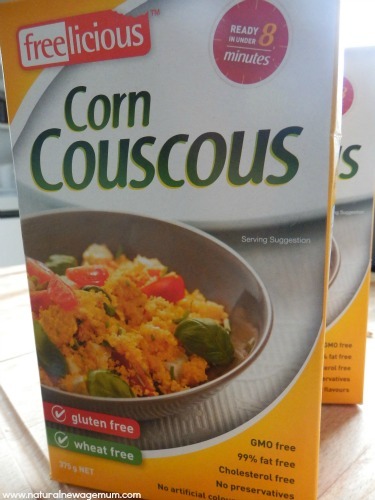 No potato, no cooked vegies…but now we can add Freelicious Corn Couscous to the menu!! This is going to be such a popular ingredient in our house – imagine it combined with a warm cashew cream sauce and Swiss chard, or used as a crust for a quiche or pie, or for so many delicious and nutritious salads. Thanks so much for letting us know this is now available – woo hoo! Hi, you just rinse it very well, then squeeze the excess water, add 1to 2 Tbs of olive oil, salt and work it between your finger to fluff it up. have your steamer on the stove put it in the steamer colander. steam it for 10 min 3 time if it’s a non instant couscous. for the instant couscous i steamed once for 10 min only. once it’s steamed you put it in large bowl, add few nob of butter and fluff it with you hand again. . in spring time we serve it with steamed peas, broad beans and carrot and have buttermilk with it . usually we have couscous as a main dish never as a salad and we serve it with a rich meat stew with vegetables and chickpeas, it can be pumpkins, courgette,turnip, cabbage it depend of the season and the occasions. I would be more than happy to show you how to make it, if you are in the brisbane area this is an open invitation for you. Hi, i would use the corn couscous in my favourite couscous recipe, chill, chicken, chorizo, capsicum, onion, spinach and home made chicken stock, a super yummy and easy dinner for the family! I’d have to make Oven Baked Chicken and Vegetables with Couscous, basically chicken and vegies roasted in the oven, then chicken stock, herbs and couscous added and baked until done. Super easy and only one dish to wash up! Chicken, Cheese and Corn Cous Cous fritters would be my match made in a culinary kitchen! It would make a great weeknight dinner, mixed in minutes and ideal in either winter or summer! 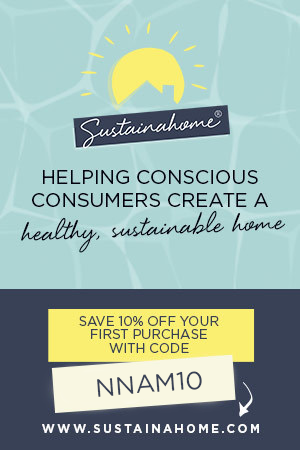 Would love an option to print your receipes! underneath each post in the ‘sharing is caring’ bit there is an option to press print? I would use it as a hot breakfast cereal as the weather is perfect for a hot breakfast these days.Moreover I would love to use it in place of breadcrumbs while making fritters for my son’s lunchbox. I would definitely start with this salad and then use it to make stuffed capsicums and an amazing sweet couscous salad my hubby makes (it has orange juice, dates, sultanas, etc). So yummy!! I love moroccan couscous with roasted veges – pumpkin, capsicum, eggplant and sweet potatoe. I mix moroccan spices and currants in with the couscous and serve with natural yoghurt! Yum! I’d love to use it for Mexican Roast Chicken with Corn Couscous Salad – I am trying to be wheat free as recommended to me by a Naturopath and I want recipes the whole family will enjoy. We eat alot of Mexican in this household. I’m sure that I could incorporate corn couscous into our regular Mexican meals! Roast vegetable and couscous. Just mix in roast veg!